This year’s workshop proceedings will be published in a Special Issue on Augmented Environments for Computer-Assisted Interventions of the IET’s HealthCare Technology Letters Journal (IET HTL). All papers accepted for presentation at AE-CAI 2017 will be published online as E-first publications shortly after acceptance. If time allows, USB formatted or printed copies of the Special Issue will be available at the workshop. Please note that we enforce a 8-10 column (4-5 page) initial submission for peer review and a 10-12 column (5-6 page) final submission after revision and response to reviewer’s comments for final typesetting and publication. 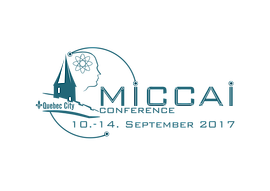 In addition, since the AE-CAI workshop has adhered to the double-blinded peer review process, we ask that you please follow the well-known MICCAI anonymity guidelines when preparing your initial AE-CAI 2017 submission in the IET HTL format.